One of the best stories of the Xbox One / PS4 generation has been the stunning return of Killer Instinct. 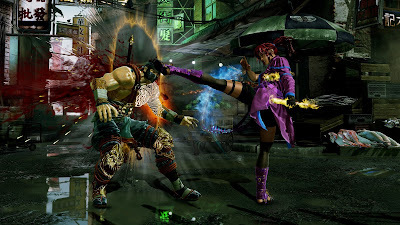 Originally released as a bit of a nostalgia play to remind gamers of Rare’s glory days, the new Killer Instinct has easily surpassed the original entries in the series and grown into arguably the best fighter of the generation. With a great cast of characters, awesome fast paced gameplay, and fantastic presentation, Killer Instinct is a must-play fighting game. And if you haven’t already played it, you can get all of the content released over the last three seasons in one $40 package, so there’s no reason not to get if it you haven’t already. See our full Killer Instinct review for all of the details. 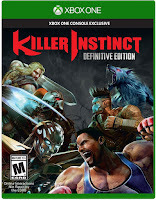 Killer Instinct, the new Killer Instinct, that is, originally launched alongside the Xbox One in November 2013 with six fighters and a somewhat bare bones feature set but with the promise of more content to come. More fighters and modes slowly trickled out and, eventually, two full additional seasons of new content were added, bringing the total number of fighters to 26 and stages to 20. 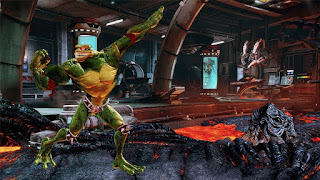 Killer Instinct is technically a free to play title where each week a different character is available to play with for free, but you could also buy all of the content at once in a few different packages ranging from $20 per-season for just the characters up to $60 each season for the characters plus a lot of extra content. In other words if you wanted all of the content in Killer Instinct to play whenever you wanted, you had to spend as much as $180 to get it all. Until now, that is. The Killer Instinct Definitive Edition, priced at just $40, has all of the content released for Killer Instinct so far. All of the fighters, stages, exclusive character skins, new modes, Killer Instinct Classic 1 and 2 releases, and more are all available in one package for $40. Kind of a kick in the nuts for folks that spent $140 more for the same content, but then again we did get to play it for the last 3-years instead of waiting, so it sort of evens out. 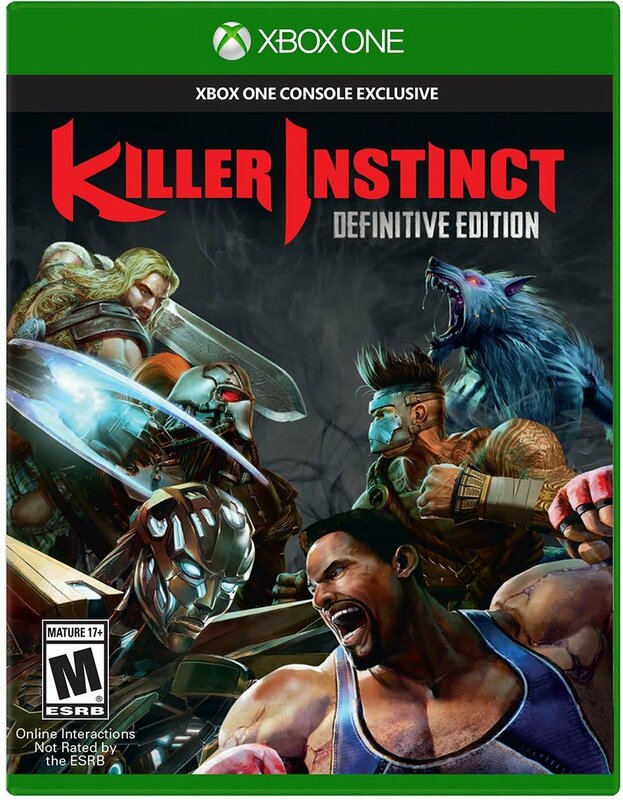 Considering that I have been very satisfied with the content even as expensive as it was, paying $40 for the Definitive Edition if you’re new to Killer Instinct is an easy decision if you’re a fighting game fan. The gameplay is an interesting chess match of light, medium, and fierce kicks and punches and powerful super moves that can be linked together to form long and devastating combos. You can’t just mash buttons and create combos, however, as precise timing and directional inputs are required to extend combos to their maximum potential. Opposing players aren’t just defenseless as you crank out 20-hit combos, however, as the game also has a combo breaker system that lets a defending player stop your combo and start one of their own as long as they press the correct button combo. There are also counter breakers that block combo breakers, though, which gives the game a whole new dimension of depth. Killer Instinct might look sort of button mashy and random from the outside looking in, but when you actually play it you’ll find a surprising amount of depth. It isn’t enough to learn one character’s moves and call it a day. You have to learn all of the characters’ tendencies, move sets, timing, and more so you can play effective defense and punish when you have an opening. I know that sounds kind of overwhelming, but Killer Instinct is also incredibly intuitive. Once you know how the combo system works it is easy to apply basic fundamentals to every character, which makes learning everything easier and faster than you’d think. Most importantly, though, Killer Instinct is just a blast to actually play. The combos are flashy and cool looking and impressive and the whole experience is extremely satisfying. Part of why Killer Instinct works so well is that the cast of characters is incredibly unique and diverse. What other fighting game has a werewolf, skeleton, spider woman, alien made of ice, man made of fire, dinosaur, cyborg war machine, Japanese horror woman, Amazonian warrior, rock monster, mummy, literal Battletoad, and an Elite from Halo, just to name a few, as part of the cast? They aren’t all just unique looking, either. All of the characters in Killer Instinct actually play wildly differently from each other to offer 26 distinct styles of gameplay. You might not like playing as all of the characters, but you’ll definitely find a handful that suit your style and you can have a ton of fun with. While Killer Instinct originally started off pretty bare-bones, there are a ton of modes to play in now. Arcade modes, story modes for each character, survival modes, training, and more. There is also a neat Shadow Lab mode where you train an A.I. to fight just like you do and then send that A.I. online to fight other players. And, of course, you can play multiplayer either online or locally. There is also a brand new single-player mode called Shadow Lords where you put together a team of fighters and have to defend Earth from an invasion. Another neat feature is that you can customize your characters with unlockable accessories and colors to truly make them your own. 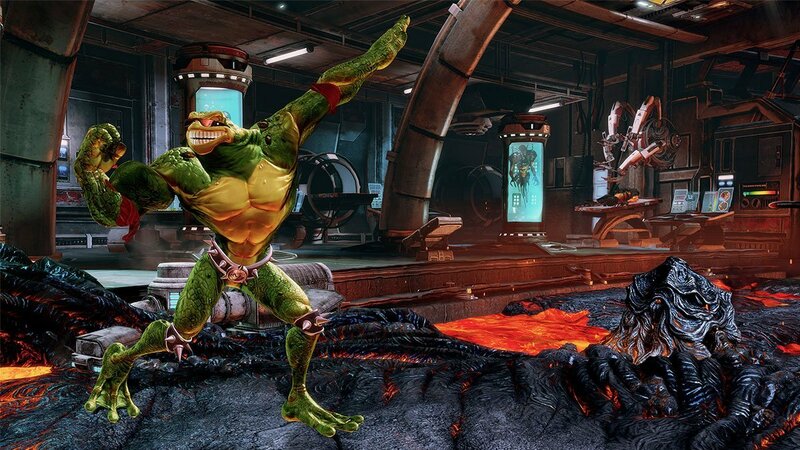 In terms of sheer content, Killer Instinct is pretty darn impressive these days. Also impressive is the presentation. Killer Instinct has actually gotten a couple of sizeable visual upgrades in the last three years – a jump from 720p to 900p and a major lighting overhaul, among other things – and it looks freaking gorgeous now. The stages are incredibly detailed, the fighters are highly detailed and have great animation, and it all runs at 60FPS. 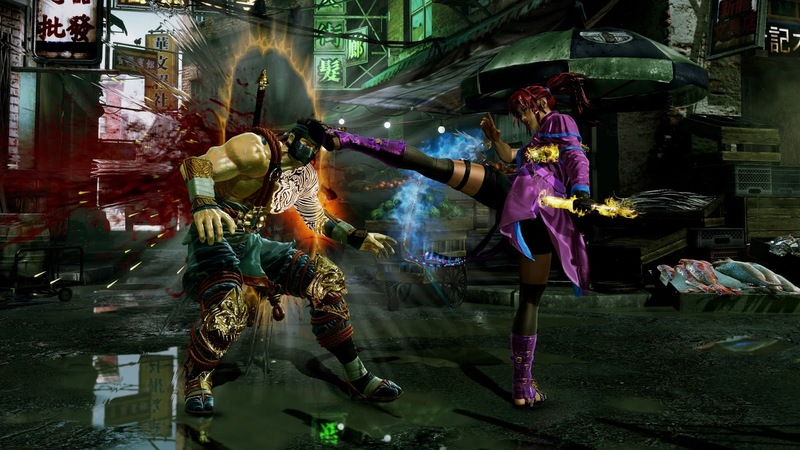 Something that also sets Killer Instinct apart is the extensive use of special effects for, well, pretty much everything. Every attack and every combo fills the screen with sparks and other effects and it looks awesome. The sound is also pitch perfect in Killer Instinct as well. The sound effects and voice acting for all of the characters are outstanding, but the real star of the show is the music. Killer Instinct has one of the best soundtracks of any game this generation and it is an absolute treat to listen to. It is also dynamic and ebbs and flows and changes according to the action onscreen, such as when a player uses an ultra combo. All in all, Killer Instinct is an incredible game and no Xbox One owning fighting game fan should pass it by. It looks and sounds amazing, has a great cast of distinct characters, features a ton of content, and it is all just $40 with the Definitive Edition. Killer Instinct is great. Buy it.